You don't need to be vegan to be excited about make-your-own cinnamon rolls coming to the D.C. area! One of my biggest weaknesses is my huge sweet tooth. I can turn down a hamburger and fries any day, but put a brownie next to me and I become a different person. I've been trying to eat healthier recently, which means trying to resist delicious and sugar-filled sweets. That's why I was so excited to hear that Cinnaholic is coming to the Washington, D.C., area! I first tried Cinnaholic a year ago when I was visiting San Diego. I saw their episode on Shark Tank (another weakness of mine) and was intrigued. The sharks ate the cinnamon rolls with excitement and couldn't believe the treats were vegan and healthier than other alternatives. The husband and wife duo left the tank with a deal for $200,000 in exchange for 20 percent equity with Robert Herjavec. Though the deal fell through after the show, Cinnaholic has still been able to expand! When I tried my cinnamon roll, I couldn't believe it was vegan either! It was so sweet and full of flavor. Some vegan sweets can end up tasting dry and lifeless, but this cinnamon roll melted in my mouth. My non-vegan boyfriend devoured his first cinnamon roll and even went up and bought a second one. 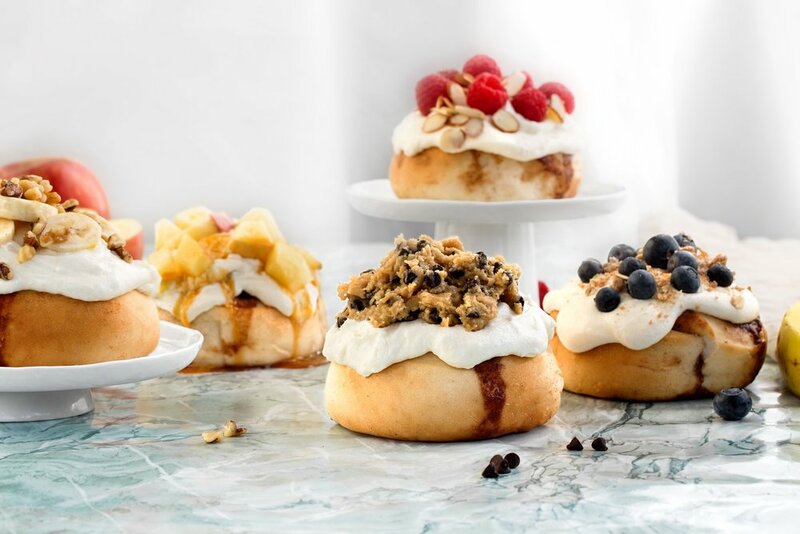 In addition to providing vegan alternatives, Cinnaholic is unique because you can make your own cinnamon bun by picking your frosting flavor and toppings. Frosting flavors include almond, cake batter, chocolate, hazelnut, and lemon. You can top your cinnamon bun off with anything from brownie bites to pie crumble and apples. The newest Cinnaholic location will be located at 321 Ellington Boulevard in downtown Gaithersburg. While you can start getting excited now, the location isn't slated to open until early 2019. What do you think? 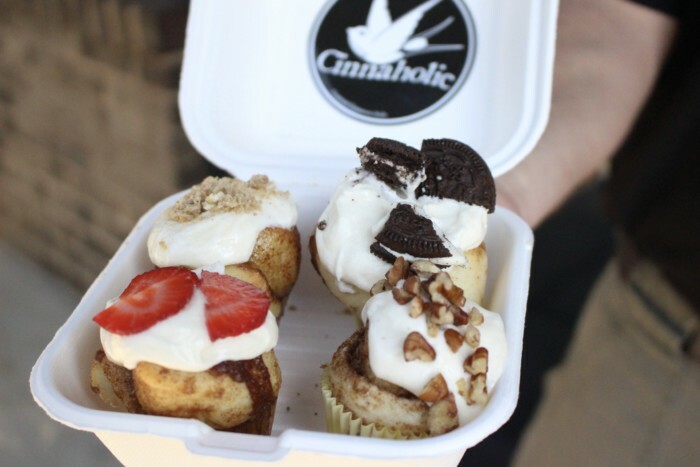 Have you tried Cinnaholic before? Let us know in the comments below! Chick-fil-A is saying farewell to their popular annual "cow-lendars"!